SPECIALIZING IN SMALL TO MEDIUM SIZED BUSINESSES. We work with businesses that require 4 to 384 phones per site. Multiple offices? We can network offices for seamless communications. Pennsylvania, Ohio, West Virginia, Washington & Oregon. We are also able to provide solutions nationwide. More than 90% of Fortune 500 and national governments across the globe trust Avaya with their communications. Over 900,000 small and medium businesses worldwide rely on Avaya. Avaya is leading the next generation of communications. 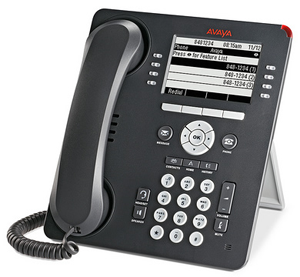 Through the applications, systems and services, Avaya has achieved worldwide #1 position for IP-telephony, multimedia contact centers, voice messaging, unified communication, and #1 in PBX maintenance services in the US. Avaya Labs has 2,000 professionals in more than 20 sites across 16 countries, and 4,000 patents and applications worldwide. Your office phone, cell phone, e-mail, texting, instant messaging and more are all essential to the way you work today. But are you managing your communications, or are your communications managing you? Think about it, How often has the following happened in your company? A customer or prospect calls with an urgent, time-sensitive request, but is unable to reach the right person for an answer. An unexpected development – severe weather, a personal matter – leaves a key employee stuck at home and completely unproductive. Staff gives out personal phone numbers (such as a mobile) that confuse customers and affect your control of those relationships. These are all everyday occurrences that can impact your image, your employees’ ability to perform at their best, your customer service and ultimately your bottom line. Avaya IP Office is ready to address every one of them, and much more. Voice over Internet Protocol (VolP) has become one of today’s most powerful business technologies because it provides an extremely cost-effective and feature-rich alternative to conventional land-line telephone systems. Increasingly, VoIP in the Cloud, also known as Hosted VoIP, has emerged as the most popular way for small to medium-sized businesses to implement Internet-based phone communications because Hosted VoIP does not require on-premises equipment other than a high-speed Internet connection, access to your existing Local Area Network (LAN) and new high definition VoIP enabled telephones., This new communications technology enables a small business to gain the advantages of unified communications formerly associated with large enterprises that have very large IT staffs and budgets. With Hosted VoIP, you can take advantage and expand your communications beyond your physical phone, make and receive calls from a variety of different computing platforms like your laptop or tablet computer. You can reduce or eliminate long distance calling costs with low-cost Internet-based calling, and your telecommuter, remote employees and mobile workers communicate just like they are all in the same office. There’s no on-premise equipment to administer, you can configure the system instantly, and you can use your cell phone or a conventional phone to stay connected via your office extension anywhere you go with follow me functionality. You can even move your IP phone and your office extensions go with you. Affordable – Hosted VoIP in the Cloud requires low/no up-front investment and is far less expensive to deploy and maintain than conventional business phone systems or on-premise IP PBXes. The ROI in most Hosted systems is months not years. 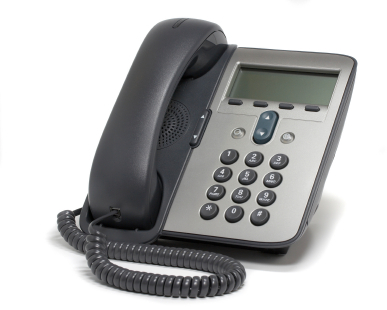 Reliable and High Quality – Today’s Hosted VoIP systems are extremely reliable and call quality rivals and even surpasses the conventional old PSTN based telephone line systems from carriers like AT&T and Verizon. High-Definition Audio phones are readily available in a VoIP environment but not in the traditional phone systems on the market today. Easy to Set Up and Use – Hosted VoIP PBXs are very easy to set up, particularly for today’s mobile workforce which require powerful business calling and “customizable follow me” features at the user’s fingertips. A non-technical administrator or business manager can set up a Hosted VoIP system in a matter of minutes and make all Hosted PBX and Call Center configurations, additions and changes online. Full Featured -- Today’s most popular systems include features such as conference calling, call logs, answering rules, call forwarding to any phone, voicemail to email, call screening, and software to have additional extensions on the PBX for your employees’ smartphone and computer. To remain competitive, most small businesses need a voice system that can help reduce phone costs and boost employee productivity. The Cisco Unified Communications 300 Series for Small Businesses, Model UC320W, meets these needs. It's a system that fits your budget, while significantly improving collaboration within your company. Designed to support organizations with up to 24 employees, the UC320W offers business-class calling and messaging with full key system and small private branch exchange (PBX) features. 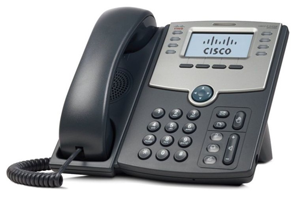 The system is flexible enough to support a wide choice of Cisco SPA Series IP phones, and includes integrated wireless networking. The UC320W was designed with the small business owner in mind, providing all the features you need. With the UC320W, you can lower your communications expenses, improve employee productivity, and respond to customers better. The system is also designed to easily grow with your business. 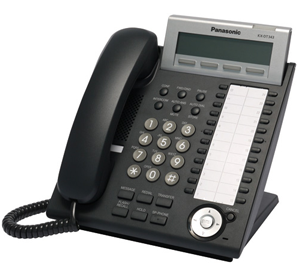 The Panasonic KX-TDA50/100/200 systems are true converged communications systems, designed with incredibly versatile ways for you to structure your company’s communications network. You can build a quick, efficient, decentralized organization under an easy-to-maintain centralized hub. State-of-the-art wireless capability is designed into the KX-TDA systems, so it’s easy to stay in touch with employees that are constantly on the move or away from their desks. For businesses with multiple locations our system can be networked together using advanced IP technology, ISDN, or basic T1 services. The KX-TDA systems support centralized voicemail, which services all locations within the extended voice mail network, and Network BLF, which allows you to view the status of extensions in other locations.